Yoga Raharja was born and raised in Semarang, the capital or Central Java, and moved to the Island of the Gods after completing his formal education in 1995. He became interested in photography in 2005, when he began capturing images with an amateur pocket camera. Within a year, his hobby evolved into a lifelong passion. Yoga purchased his first SLR to delve deeper into the creative world of photography, and he has never looked back. Yoga embodies a diversity of creative and cultural passions: The Javanese shutterbug is a Metallica fan and French speaker who loves capturing portraits and humans in action, including ceremonies, bull races, musical performances and other cultural events. 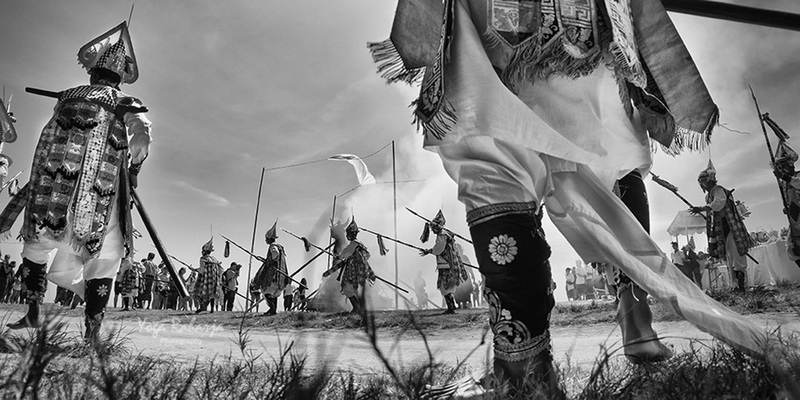 Most of his shots are centred on the magical ceremonies of ancient religions in Java and Bali. He has also captured portraits of village life in Sumba and Flores. Yoga Raharja was selected among more than 23,000 photographers as the 2013 winner of the Indonesian President’s Trophy in photography.